Alexander Kristoff of UAE Emirates produced a convincing sprint to clinch victory from a select group in a windy, fast-paced Gent-Wevelgem spring classic on Sunday. 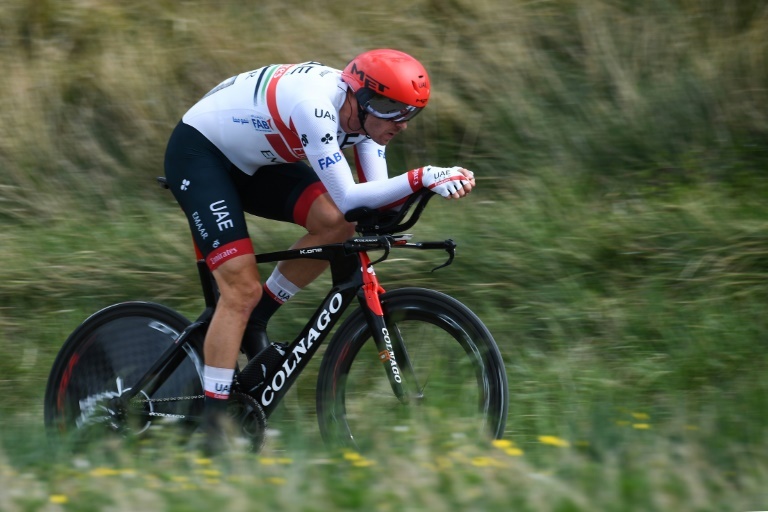 The big Norwegian punched the air repeatedly after beating Germany’s John Degenkolb and Belgian Oliver Naesen after a small group of one-day specialists caught a late breakaway near the end of the 251km race. “I got the right wheel in the sprint and my form was good coming into the Flanders season,” said Kristoff. The race was covered in a record speed of 46.2km/h meaning Deceuninck-Quick Step’s policy of favouring Italian sprinter Elia Viviani backfired as he finished down the field. UAE had been banking on their own sprinter Fernando Gaviria, but had the nous to change tack in the wind. “I should have been working for Fernando (Gaviria), but he told me a few kilometres from the line he felt rough. Jumbo’s Belgian powerhouse Wout Van Aert made the first move blowing the tight group apart after 50km with Peter Sagan, Matteo Trentin and Luke Rowe part of that breakaway that was caught 20km from home. For the 31-year-old Kristoff the win marks an important return to form after he won Milan-San Remo in 2014 and the Tour of Flanders in 2015 and who now has seven classic wins on his roll of honour.